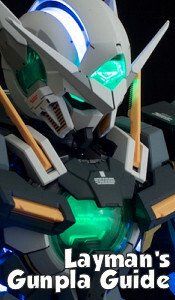 Home » Blogs » Falldog's blog » Gunpla Rumor Time - PG Unicorn?! Rumors are just rumors, but there's enough there to get the blood flowing. HG Gundam Wing kits? A PG Unicorn?! Considering what Bandai's been up to recently the list isn't all the surprising. A MG AGE-2 is pretty much inevitable (though I would've liked to see a MG G-Exes first) and a MegaSize AGE-3, though in tune with what the previous MegaSize AGE1/2 kits, would be bloody massive. The SEED kits make sense considering the already announced MG lienup on the way and the RG Strike and Strike Freedom. Perhaps most exciting is the potential for a HGAC Tallgeese! Tallgeese, along with Wing and Dragon, are bound to sell like hotcakes. Unfortunately this doesn't bode well for those of us wanting a MG Tallgeese release following the recent Ver Ka. MG Wing kits. What I find most troubling on a personal level is a potential Perfect Grade Unicorn and/or Banshee. Since the announcement of the PG Strike Freedom a year ago many have suspected the Unicorn Gundam as the next in line for PG treatment. If it comes out, I am getting one. Am I getting a PG Banshee too ? Gotta start saving. If only if I wasn't in the midst of my 6th MG Unicorn project as I negotiate a trade for a 7th. Insanity.